A Georgia professor offered her students extra credit to attend a campaign event that a Democrat gubernatorial candidate hosted on campus with Democrat Sen. Elizabeth Warren. 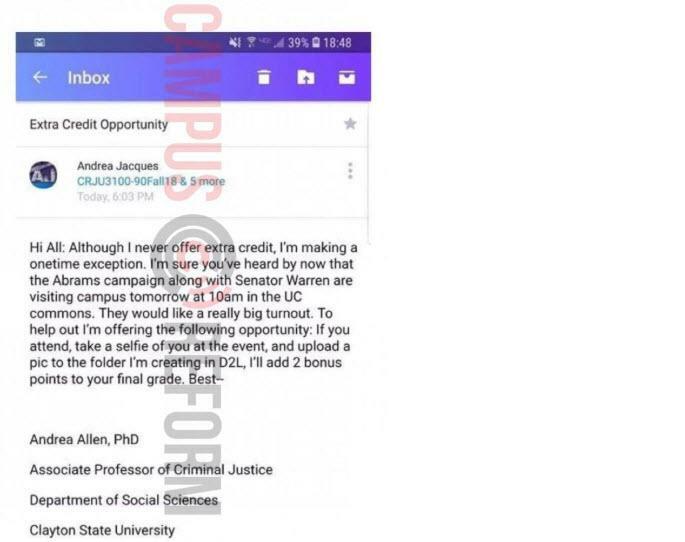 Clayton State University criminal justice professor Andrea Allen offered students extra credit to attend an event on Tuesday supporting Democrat Georgia gubernatorial candidate Stacey Abrams, according to the Atlanta Journal-Constitution. “Although I never offer extra credit, I’m making a one-time exception,” Allen told students in the email. 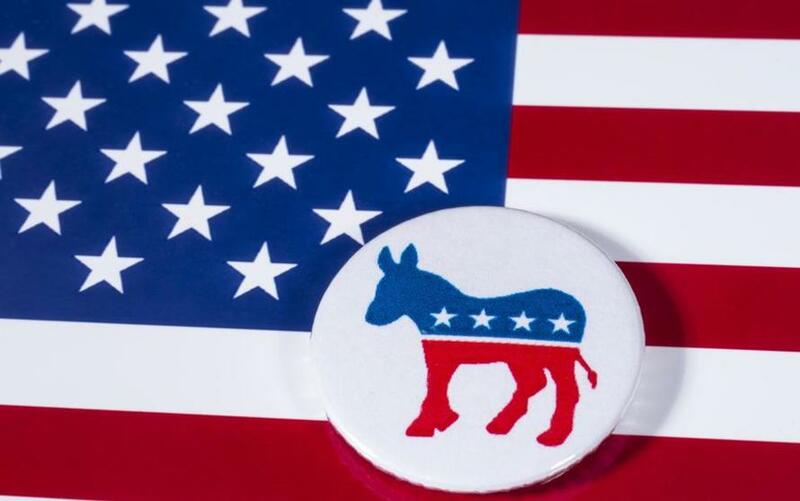 Reportedly, Clayton State told Atlanta WSB -TV Channel 2 that its administrators contacted the professor and advised her that she should offer an equal amount of extra credit to students who participate in campaign events hosted by every political party. 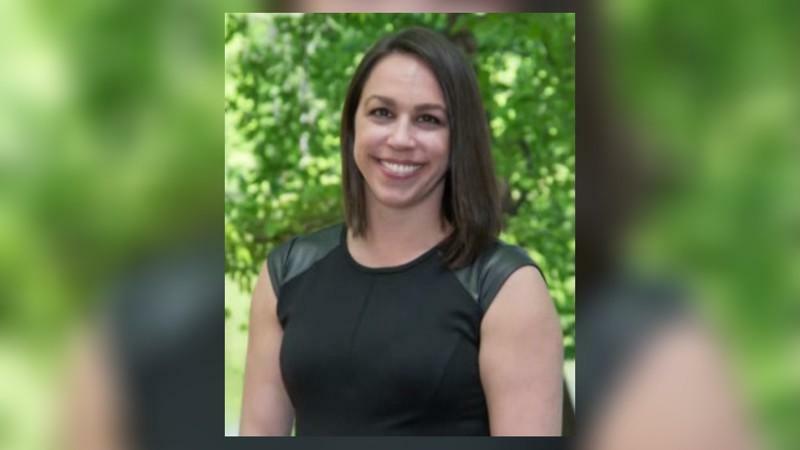 Allen did not respond to a Channel 2 request for comment, but the school said that she agreed to make available extra credit for every political event. “This is more than a simple mistake,” Clayton County, Georgia Republican Party Chairman Garrett Ashley told Campus Reform. “A student’s political preference should not determine his or her grades,” Georgia Association of College Republicans Chairwoman Kylie Harrod told Campus Reform. The Georgia gubernatorial race is close between Abrams and Brian Kemp, the Trump-endorsed Republican candidate, who is polling two points higher than Abrams, on average. These percentages, though, are within the margin of error.